Operation Lifesaver is an important safety education program aimed at reducing the number of deaths related to tresspassing and grade crossing accidents to ZERO. Most major railroads and their employees participate in the Operation Lifesaver program, visiting schools and public events, educating the public on railroad safety. All train tracks are private property. Never walk on tracks; it's illegal trespass and highly dangerous. By the time a locomotive engineer sees a trespasser or vehicle on the tracks it's too late. It takes the average freight train traveling at 55 mph more than a mile—the length of 18 football fields—to stop. Trains cannot stop quickly enough to avoid a collision. A disturbing trend is growing in the portrait industry: Railroad rights-of-way as photo studios. Don't let this be you! 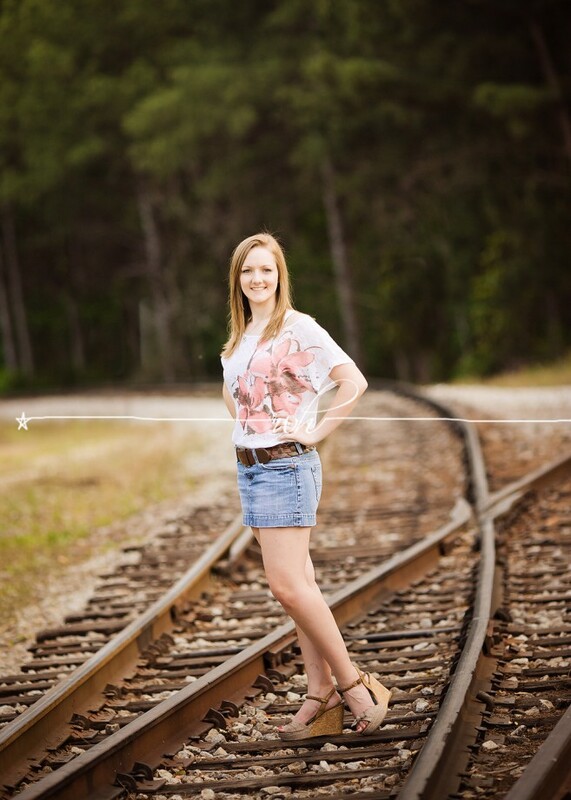 It's tresspassing, it's dangerous and your fun photo session could turn tragic in an instant if a train comes along. With today's modern railways featuring roller bearings and ribbon rail, an approaching train can be deadly quiet - until moments before the engineer sees your photo shoot around the curve and frantically blows the horn just prior to running you over. Please stay off railroad right-of-ways and if your photographer suggests it, please tell him or her "NO!" The following three photos are a tiny portion of thousands found doing a Google search and aren't meant to single out or embarass any one person, only to raise awareness of a growing and serious issue. The photographer of the photo below said he decided to use an "abandoned" rail line - the rails look pretty shiny for an abandoned line - don't do it. The nearby warehouse may be unused, but the railroad may spot cars on that siding at anytime. Many things are wrong in this next photo: Never walk on the rail head. It's a railroad safety rule for starters. You can slip and crack your head open on the rail. Railroaders know to never step on a railhead, always step OVER the rail. Next - it's clearly an active mainline - if you see tracks - expect a train at any time. The photographer for this engagement photo noted being inconvenienced while taking the photo by sitting on a cactus - not nearly as painful as being hit by a train! Don't do it - stay off the tracks. Please remember - if you really must have the railroad as a backdrop, stay a safe distance off the right-of-way.